John James Stanaway was born on 16 July 1813, in Camberwell, Surrey, England, the fourth child of James Stanaway and Eleanor Giles. The parish records transcribed by the Cornish Family History Society show John Stanaway, son of James Stanaway (1779-????) and Eleanor Giles (1797-1851) and was baptised in the Cornish village of Probus on 12 July 1814. 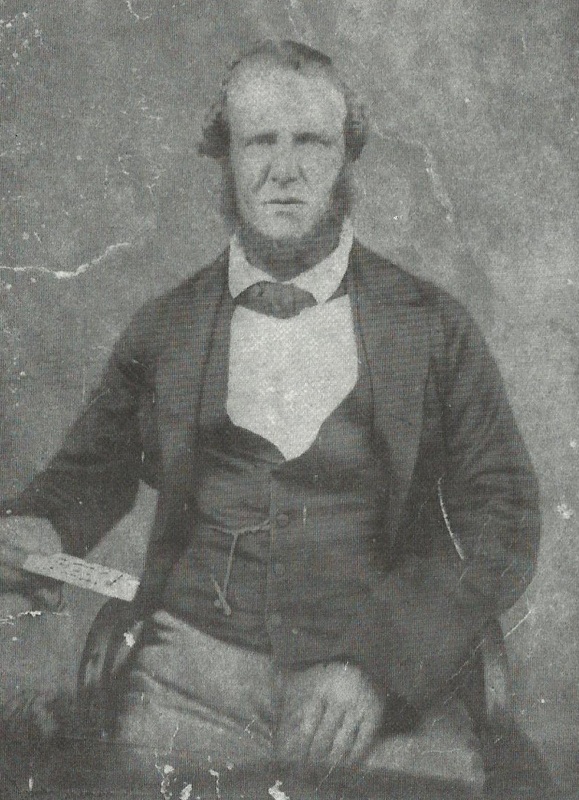 Captain John James Stanaway about the time of him being made Pilot and Harbour Master of the Kaipara – Allan Family Collection. The birth in Camberwell is taken from the Stanaway family records supported by a hand written note which bears no official markings and contains further birth information extending through to the 1870s. It does not appear to be a contemporaneous document. John died on 17 August 1874, in the settlement of Tokatoka, on the banks of the Northern Wairoa River, Kaipara Harbour, New Zealand. He was sixty one years old and had been suffering from Enteritis. Enteritis is inflammation of the small intestine, usually caused by eating or drinking substances that are contaminated with bacteria or viruses. The germs settle in the small intestine and cause inflammation and swelling. He was buried on 20 August 1874 in the local Tokatoka Cemetery on the bluff overlooking the Wairoa River. His occupations where many and included; Captain, Master Mariner, Pilot & Assistant Pilot, Harbour Master all at the Port of Kaipara, New Zealand, Post Master, Hotelier, Bush Licence Holder, Store Owner, Waterman, and Sawyer. John James Stanaway has now over 15,000 descendants around the world. The last major gathering was in 1985, in Ruawai, Kaipara, New Zealand. Over 600 people from all parts of New Zealand gathered at Ruawai College over the Easter Weekend. It was a chance for the family to get to know each other, to talk together, and more importantly, to swap addresses and continue contact. At that gathering the Marriner’s had compiled a massive family tree book listing hundreds of names, this book has recently been updated (Revision 2013).